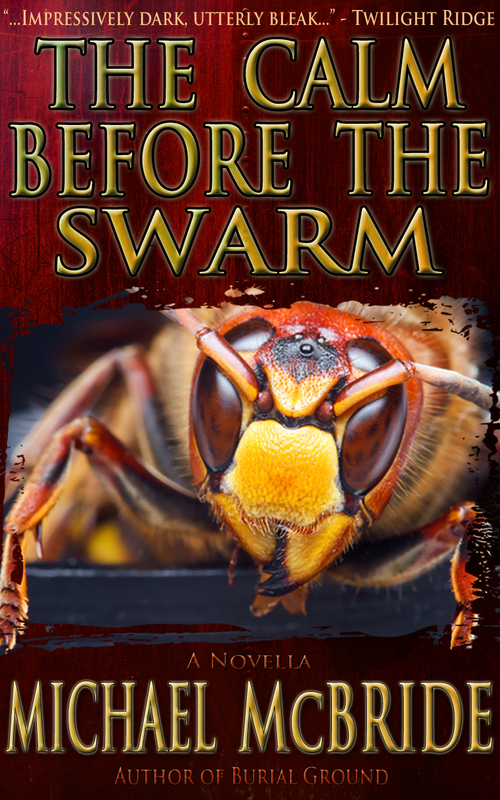 My novella The Calm Before The Swarm (from my collection QUIET, KEEPS TO HIMSELF) is now available for download in digital format for only 99 cents. For those of you who enjoyed Jenna Sighed, this ought to be right up your alley. Dr. Lauren Allen, an investigator for the Centers for Disease Control and Prevention, is summoned by the FBI to a small town in Georgia, where she finds bodies scattered around a circus big top. It’s even worse inside. Nearly three hundred men, women, and children are dead in the stands surrounding a stage littered with the corpses of performers and animals alike. Every one of the victims has been stung repeatedly by what appears to be a species of bee, and yet there isn’t a single insect carcass to be found. It’s as though a swarm of unprecedented size simply materialized from nowhwere…and then vanished again. Dr. Allen soon discovers that the massacre at the circus is only a trial run for an attack of unimaginable proportions. Can she and the FBI track down the unknown terrorists that command the swarm before thousands more lives are lost? The method of our ultimate extinction is hiding in plain sight. Check out the dedicated The Calm Before The Swarm page HERE. Or you can go straight to Amazon HERE. This entry was posted on November 4, 2011 by evilanche. It was filed under Uncategorized .